In a society where all citizens have computerized chips in their brains and insert needles into their veins to enter a virtual reality, Victor Vale is an officer of the law with great ambitions. 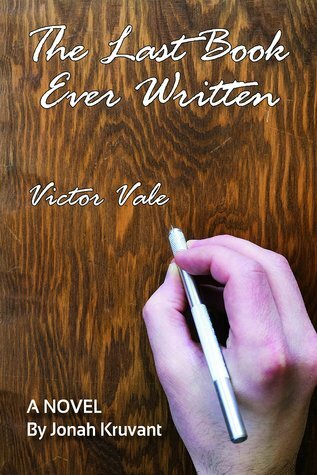 When he is assigned a case to go undercover and expose a community of illegal creators, Victor finds himself compelled to write, and for the first time, begins questioning the world around him. As he searches for answers, Victor slowly begins to unravel hidden truths about society, and even uncovers an astonishing secret from his own past. Not long after the Cleansing Act, I was promoted to Detective. I was thirty-four. I had a wife and child to support. A career to pursue. My son wanted things, my wife wanted things; hell, I wanted things. I had worked on the force for thirteen years and it was time I got my detective badge. That was all I could see back then. I didn’t care about creators. Then I was assigned to the case. But even before I stepped into the Chief’s office, events began taking shape that marked both the beginning and the end of a new chapter in my life. It was on my way to the police station, wading through the unbearable stench of the dirty human flesh of the Slums, that I began to question things, what I thought I knew about the world … and about myself. So this is where I start my story. This is where I begin my book. giggling, cleaning dirt out of each other’s hair. The bright lights of the skyscrapers, the swiftness of the skytrain, the convenience of the airpath—all a beggar had to do was look up and he would find himself in a fantastical world of dreams. A writer, teacher and student of the world, JONAH KRUVANT received his BA from Skidmore, his teaching degree from Fordham and an MFA from Goddard College. Jonah lives in New York City. 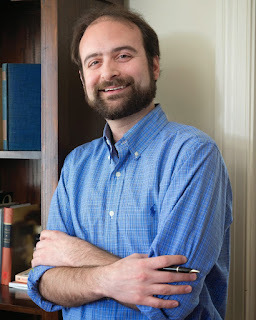 He is the author of The Last Book Ever Written. A randomly drawn commentor will will a $10 Amazon giftcard! Thank you for the interview. This sounds very interesting. I really enjoyed the excerpt! Sounds like a compelling book! Thank you for sharing! The excerpt and by extension, likely the book, brings up some interesting questions. Enjoyed it and the book looks good...thanks for the chance to win. What a neat intro/beginning of the story. Sucked me right in!